Dated 22nd October, 2018: Like always Honor is spreading smiles all across Pakistan. 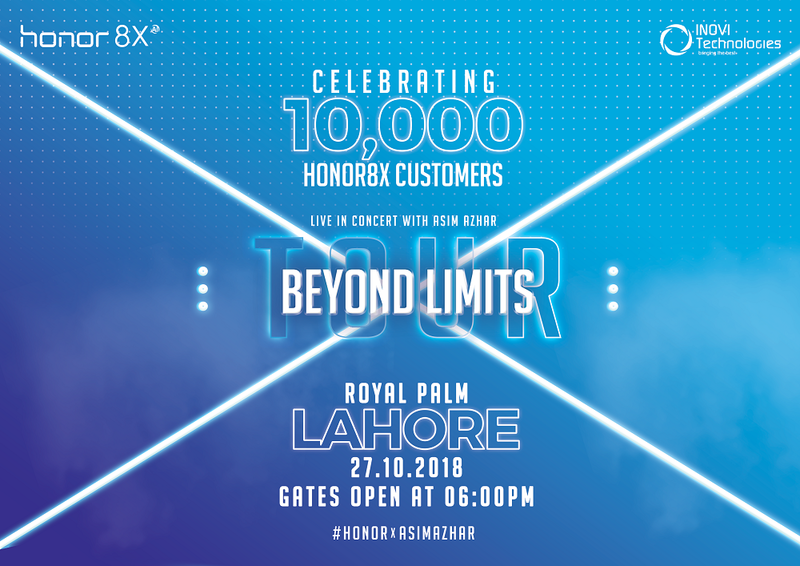 Its latest variant Honor 8X has won the heart of thousands, thus Honor will be celebrating the achievement of getting its first 10,000 customers of Honor 8X on 27th of October at an entertaining concert in Lahore. This concert will be the beginning of the Beyond Limits Tour. 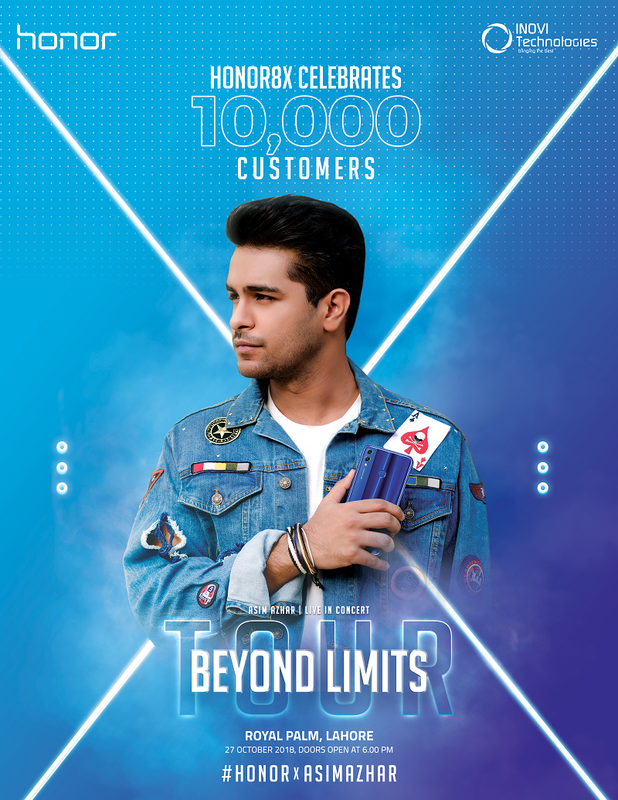 This event will take place at Royal Palm Golf and Country Club where the talented Asim Azhar will lead the concert with his mesmerizing voice. Make sure you get there on time because the gates will open at 6 pm & will be closed at 7:30.